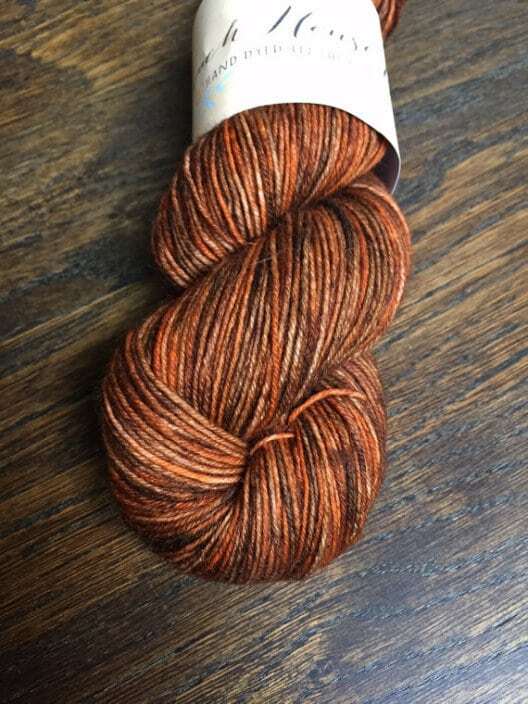 Listeners to episode 20 of the podcast will have heard me fall head over heels for the new Corriedale yarn dyed by Linda at Coach House Yarns. As well as the bouncy, velvety qualities of the Falkland Corriedale wool I was really taken by the dye of the yarn and the subtle layering of similar tones of colour to create a wonderful depth. Linda Gunner dyes her yarn in her Coach House home, in Oldham, which gives her business its name. She has an etsy shop, where you can find her wonderful British base yarns and has recently started a blog. 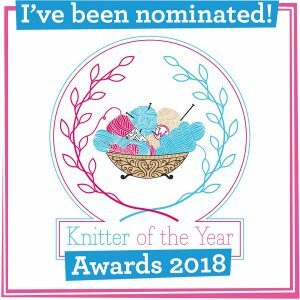 I invited Linda along to KnitBritish to tell us a little bit about about her crafting background, colour inspirations, her love for British wool and what 2015 has in store for Coach House Yarns. Hi Linda, Coach House Yarns is an utterly charming brand and your yarns are really beautiful. What got you started and how did you get interested in dyeing? 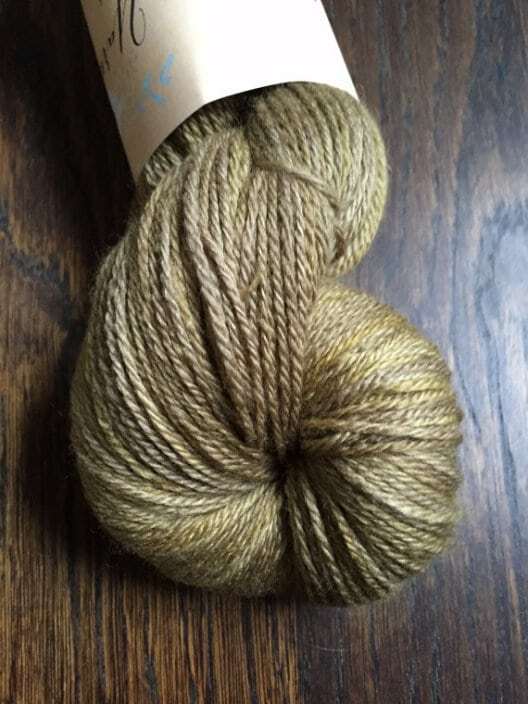 As soon as I got into knitting and found out that indie dyed yarn existed and I was intrigued by it. How did they do it? I bought a book and read it and got so scared by it! Acid dyes, I panicked! I tried the food colour and Kool Aid and I wasn’t much of a fan so I left that, but the urge was still there. I just thought ‘Just try it and if it doesn’t work, then it doesn’t work!’. I was hooked after that. Have you always been inspired to craft and be creative then? When I asked my mum that question she said that I had a Post Office when I was little and I didn’t want a play set of the stationary so I made it all – my own stamps, pension books and child benefit books ha ha! So I guess that is a yes! I’ve always loved making things, baking, cooking, scrapbooks.scrapbooks. I’ve always been surrounded by craft too. My mum knits and sews and did this when I was little; she made me Aran sweaters and ballet cardigans, even an A-team jumper for my brother! My grandma was also a prolific crafter, quilting, knitting; her Fair Isle was beautiful and she was a superb seamstress. My other grandma loved to cook and knitted too, so I guess it’s in the blood really! All strong women crafting. I too was a child post mistress!- I even ‘hired’ my cousin to be my postman! (Do children still *do* post office?) Anyway…..! I have loved knitting with the Corriedale yarn, it is a beautiful warm wool with fantastic elasticity. 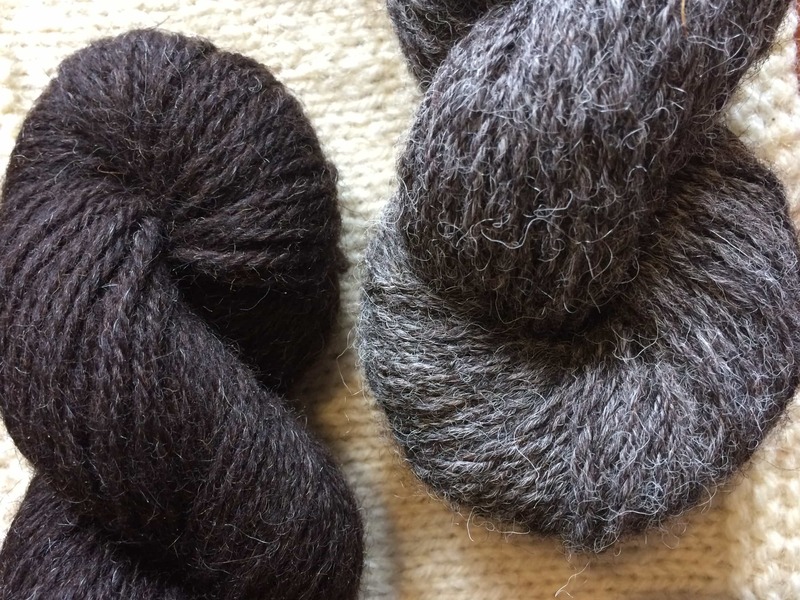 Let’s talk a little about your yarn bases; you have organic British Falkland merino and Corriedale and also British wool containing Bluefaced Leicester. How important is provenance to you? I’m so glad you like the yarn – it’s a very warm and yarn my fingers were all toasty as I knitted with it. With the bases I wanted to do similar as I do in the rest of my life. I like to support all things British and believe that we need to support our economy and all those that trade in it. I only eat British meat that I know has been treated well by people that care about the industry and their animals so I wanted my wool in the shop to represent that too. We are fantastic at what we do and it needs to be supported, so as a business that was important to me. As I mentioned before the colours in all your yarns have a lovely depth. Do you choose the bases due to how they dye? I didn’t choose the Corriedale base for the way it dyes – I just knew that I had to have this base as it was something different. It does dye beautifully though and the colourways take so differently, but it can take anything. It looks good with a very light natural or looks stunning with a bold pink – it’s fantastic! It doesn’t like getting wet though! It’s so airy it just sits on the water it makes me smile every time I soak it. 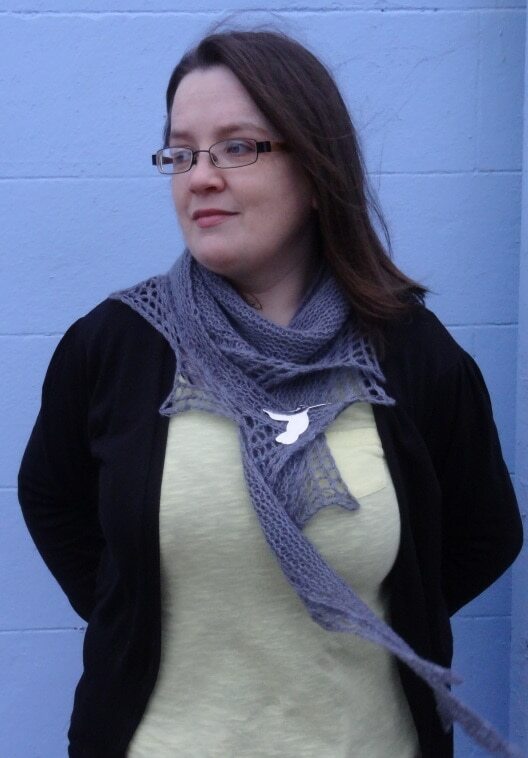 It is airy, and so springy and My Dolittle shawl was exactly the same when I washed it. You are so right, Corriedale is something different – it is fantastic for textured knits and I think a lot of knitters may not be so aware of it’s workhorse qualities. Where do your colour inspirations come from? My colourways are inspired by different things: Originally it was just my own colour palette, as I was dyeing for my own knitting before I had the shop. Some are happy accidents when I thought it would do one thing, but it did something else and was beautiful. Or Movies! Shiny Bees inspired me to look the film Labyrinth for colours! Other are colours or combinations that I see in a picture of the pebbles I took on Morecambe beach or the trees that I saw while I waited at the traffic lights! Random things I see and I think, ‘ooh! That looks good together’! 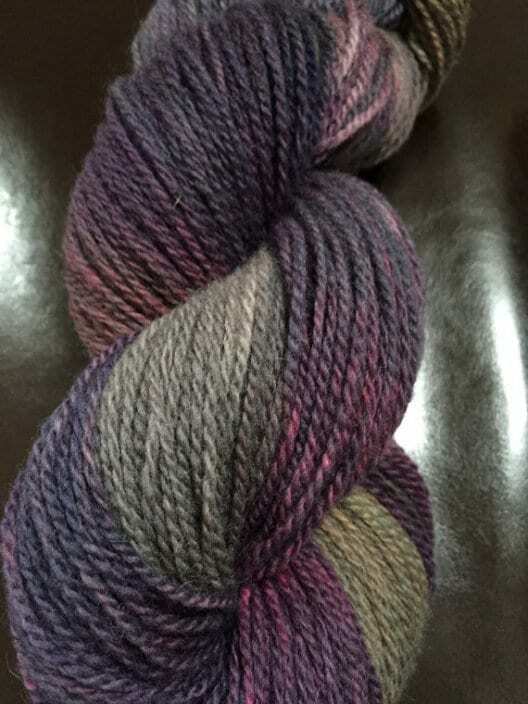 In 2015 I plan to keep on dyeing and hopefully selling more yarn! 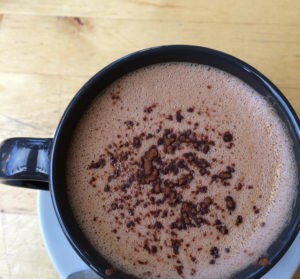 I am very new to blogging and having a business so I’m learning so much. I’ve got some other interesting bases on the cards and new colours to try, so there will hopefully be lots of new things in the shop. Do you have set shop updates, or do you add to your store regularly? I won’t be having updates, as such, but will keep adding a few skeins a week and will tweet and blog about it. I’m not too much of a fan of updates as I prefer to see the yarn and buy it so that’s how I try to keep the shop. What about other goals – will we see Coach House Yarns at any festivals in 2015? Festivals! Ooh now that’s a little scary at the minute but I would love to do that in the future it would be fantastic! That’s maybe a goal for next year. My other goal is to dye the perfect grey! I love grey and am on a mission to get that perfect colour of grey that I have in my kinds eye! Well, if you don’t mind me saying, I think you are already pretty fantastic at grey. I love how your steel colourway manages to look different in nearly every light! 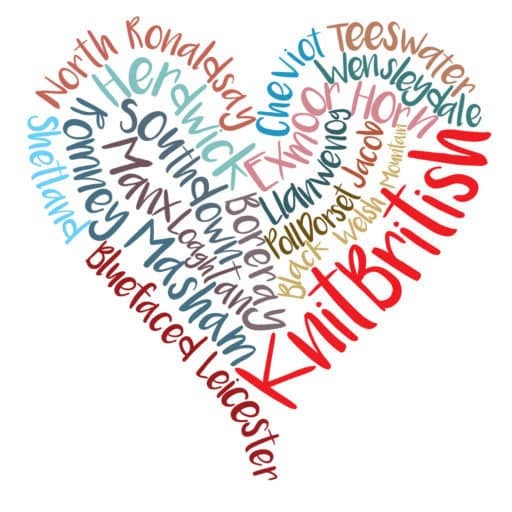 Linda, thank you so much for dropping in to see KnitBritish. While I know you aren’t vending at any festivals this year I do know you will be at the Edinburgh Yarn Festival and I am looking forward to seeing you there. If you are interested in Linda’ s bases there is info in the etsy shop and also on her blog, where she introduces some of her bases. Next Postepisode 21 Edinburgh Yarn Fest plans revealed!